For a stay of discovery in the South of France, the hotel Le Pré Saint Michel invites you to discover the charms of the Luberon mountains. This charming 3 star hotel in Manosque, invites you to escape for a weekend or a holiday in the Luberon under the sun of Provence. Overlooking the town of Manosque, this charming hotel welcomes you with warmth and invites you to discover the beautiful landscape of Provence. 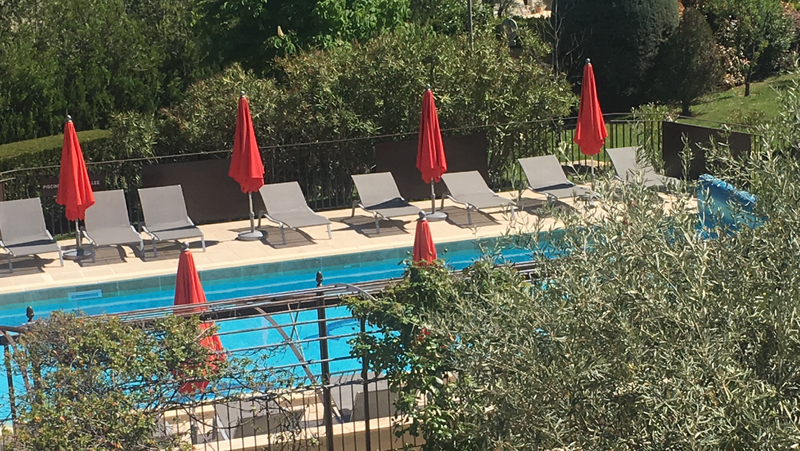 For an ideal stay in the heart of the Luberon, you just relax by the pool at this charming hotel and enjoy its sunny terrace. Discover the many colors of the Luberon, the unique scent of Provence and enjoy the peace and charm of the hotel Le Pré Saint Michel. For a moment of well-being in Provence, you can relax in this charming hotel in the heart of nature in the Luberon massif. In a typical Provencal atmosphere, this hotel of charm and character in the Luberon invites you to discover the city Manosquine dear to Jean Giono. You will be accommodated in one of the rooms bright for a charming stay perfect in the mountains of Luberon to the hotel Le Pré Saint Michel. Not far from Cadarache, this 3-star hotel in Lubéron offers a real moment of relaxation in the calm and charm to your stay in Provence. When you next weekend for a holiday or for a seminar in the Luberon massif, stay in the comfort of a charming hotel. At the heart of the unique landscape of the Luberon, this charming hotel will welcome you with warmth for a relaxing stay.